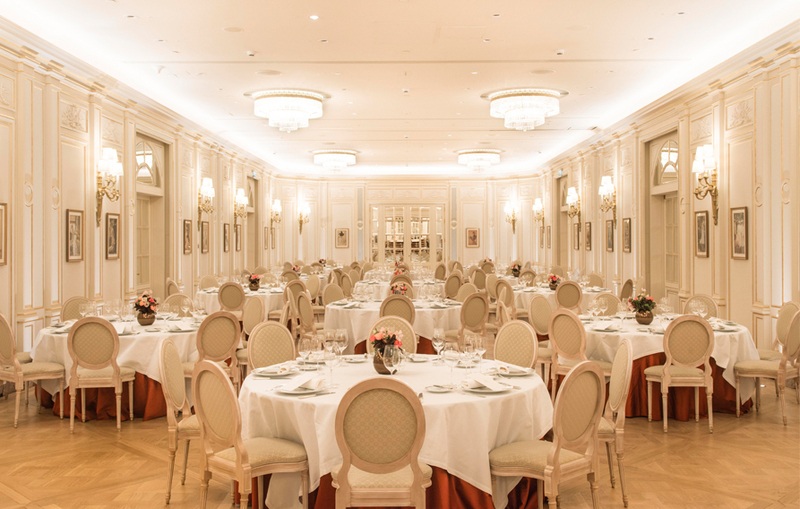 The salons at the Ritz Paris are available for all guests seeking an exceptional place to entertain, in the heart of Place Vendôme. With capacities ranging from 10 to 500 guests, these salons offer refined décor and Haute Cuisine by our Executive Chef Nicolas Sale as well as our teams' remarkable savoir-faire so that any event you host will reflect your personal style and tastes. 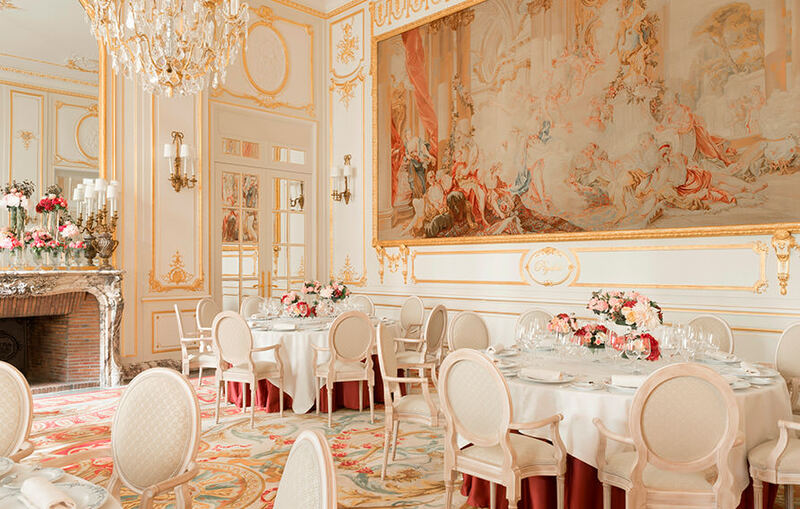 A listed Historic Monument, the Salon Psyché features majestic woodwork and fine gilded sculptures. 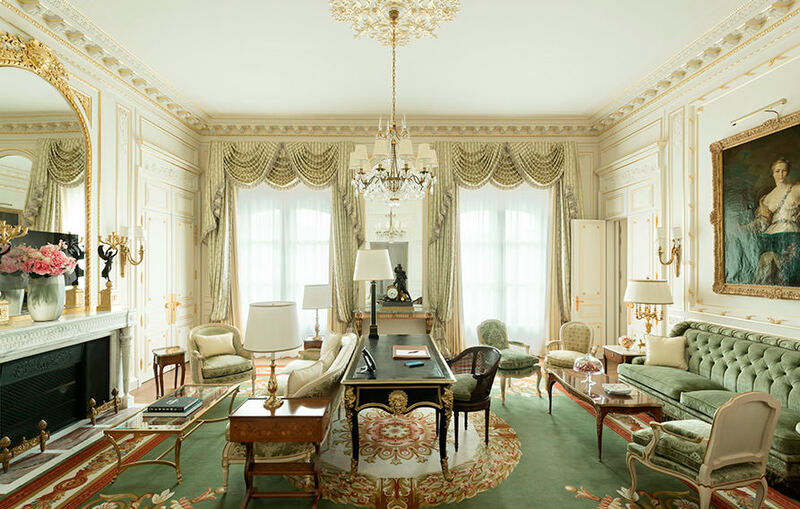 A marble fireplace and a remarkable Aubusson tapestry complete the décor in this discreetly elegant, luxurious space. Ideal for family gatherings and small business meetings, the Salon Psyché is adjacent to the salon d'Été and so can also expand to accommodate larger events. Surface area: 76 sq. m.
A glass atrium with delicate ironwork opens onto the Grand Jardin, permitting this generous space to be bathed in natural light. 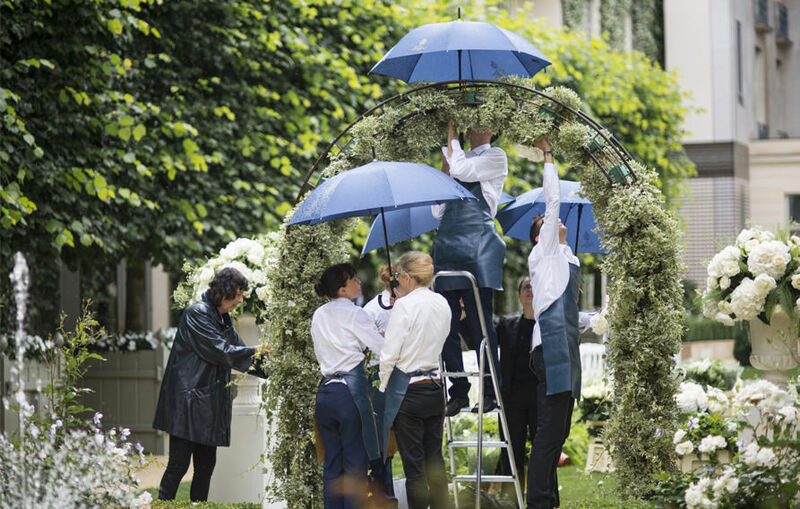 In fine weather, your event can be held both in the salon and on the large terrace so that guests may enjoy the main garden and landscaped flowerbeds. 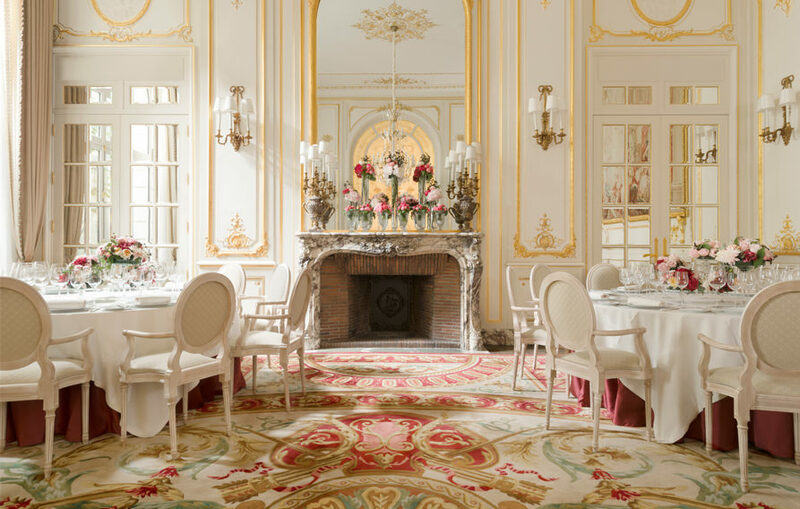 For larger receptions, the Salon d'Été can be adjoined with the Salon Psyché and the Salon Louis XV. Salon d'Été surface area: 106 sq. m.
Psyché Terrace surface area: 126 sq. m.
Fine gilded woodwork, mirrors and crystal chandeliers give this historic salon a majestic air. Its vast proportions make it possible to entertain large numbers of guests. It is possible to adjoin the Salon Louis XV and the Salon d'Été. Surface area: 106 sq. 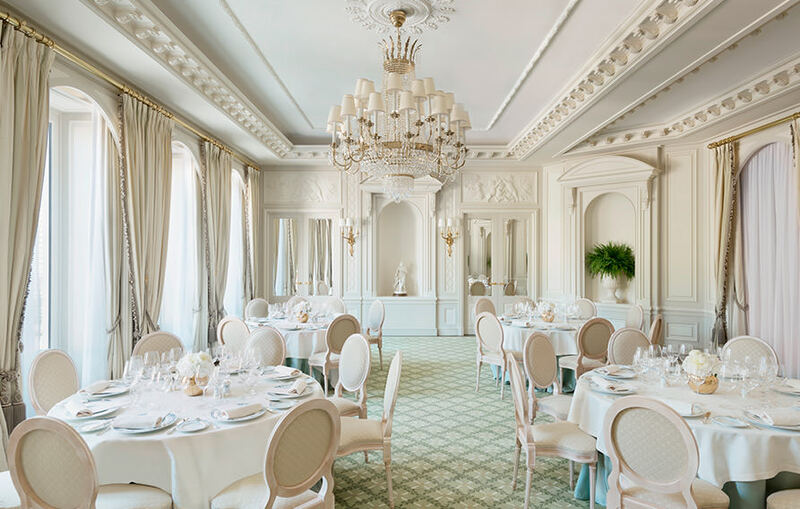 m.
For large family or professional gatherings, it is possible to combine the Salon Psyché, the Salon Louis XV and the Salon d’Été. Transforming the three salons into one makes it possible to create an entirely privatized space for organizing your event as you wish. Your guests may arrive by a private entrance on the Place Vendôme. Three salons combined: 288 sq. 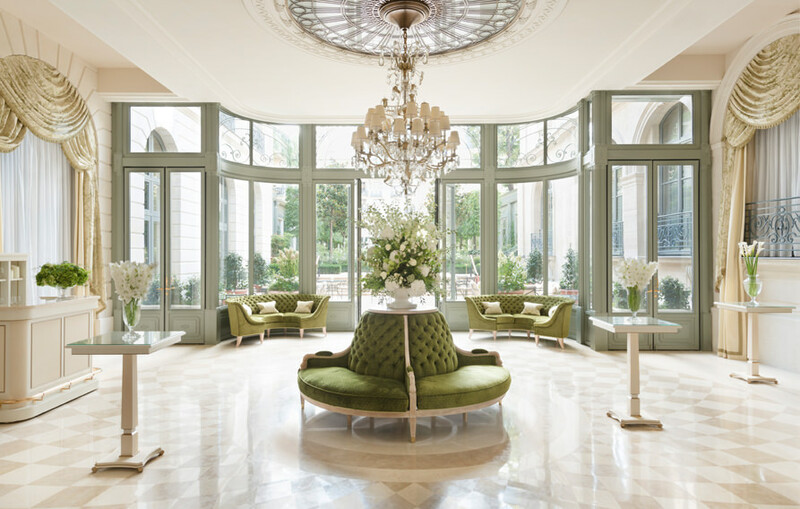 m.
With two entrances one of which leads to the Grand Jardin, this salon offers absolute calm and privacy. Elegant woodwork and richly hued window treatments are reflected in the mirrors lining the walls. An oasis of calm for private gatherings and small business meetings. Surface area: 69 sq. m.
Salon César Ritz offers a warm and cozy atmosphere. Natural light plays off its mirrors and streamlined woodwork with delicate sculptures. This salon gives onto a terrace, allowing guests to enjoy the garden in fine weather. 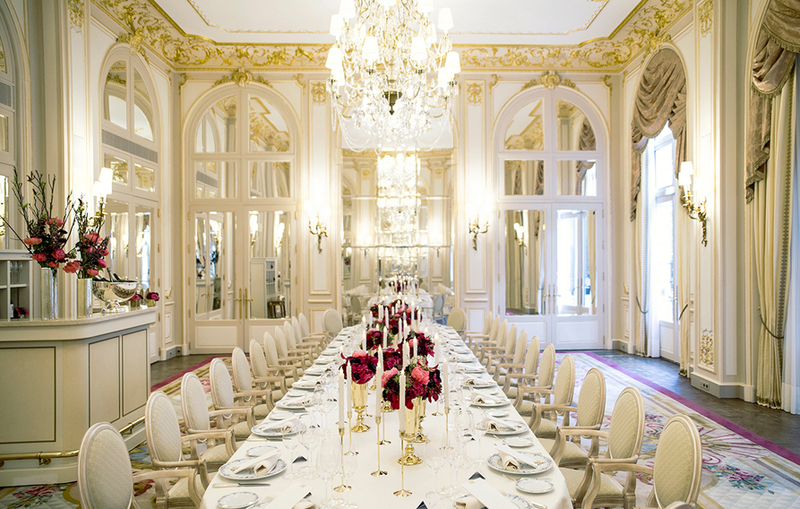 Salon César Ritz surface area: 91 sq. m.
Cambon Terrace surface area: 120 sq. m.
A magnificent white marble staircase leads to the largest salon at the Ritz Paris, a theatrical prelude to a décor featuring gilded woodwork and crystal chandeliers. Completely soundproofed and equipped with the latest technologies, this salon is an ideal space for fashion shows, gala events or simply dancing until dawn. This space can be easily adapted to the number of guests thanks to a moveable partition. Surface area: 217 sq. 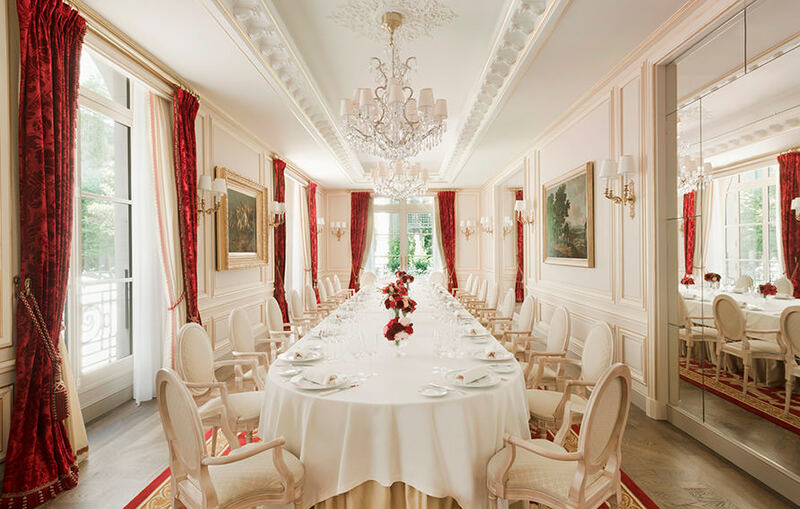 m.
The Ritz Paris counts many exceptional spaces that can be adapted to suit your dream, style and tastes. Visit our rooms and consult our teams to create the perfect occasion.